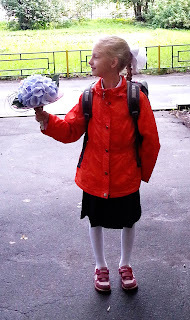 My daughter, my little girl, my bright birdie became a schoolgirl. 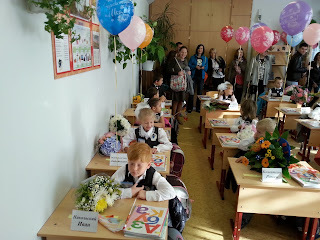 It was disturbing, joyful and sad day. I wish you good luck, my dear first grader!